It was meant to be a fresh start for one of the world’s largest IT fairs. Before the actual event, Cebit was widely considered dead. Indeed, visitor and exhibitor numbers shrank dramatically compared to the previous year. But against all odds, Cebit 2018 was a success. Even a fair as big as this one can reinvent itself and transform into something else: a new digital festival. 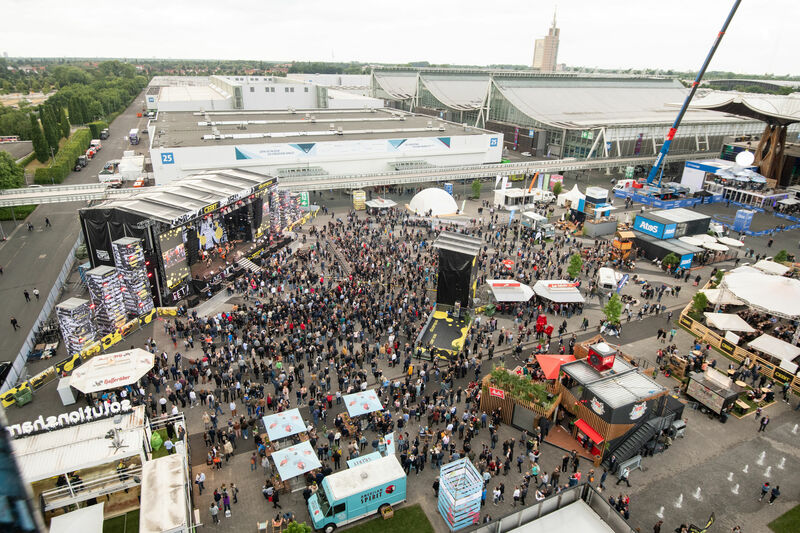 Between food-trucks serving falafel, burgers and waffles, Cebit was host to networking, laughter and discussions about the digital future – and of course business. There was an obvious divide between the new and “old” audience: T-shirts and sneakers talking to suits about new digital business trends and partying during the Jan Delay concert on the new festival grounds at night. The divide was also visible throughout the many talks and stages that focused on topics ranging from digital transformation and cyber security, digital healthcare and future mobility to customer centricity and women in digital business. The topics were just as diverse as the audience itself. Some highlights were the virtual reality table football which set all-new standards for an all-time classic bar game, the gigantic ferris wheel and a sky-dining venue 20 metres above the ground. Another highlight for us was the keynote by Robert LoCascio, CEO and Founder of adel & link client LivePerson, who talked about how the way we communicate with mostly female-voiced AI and home assistants might influence children and society and lead to a world of sexist bots. AI was everywhere during this year’s Cebit. Moshe Rappoport, Executive Technology Advocate at IBM Research, claimed that we can power just as much with AI as we like – be it data analysis, texting or creating new kinds of systems – and thus change the way a whole company works. Kareem Yusuf, General Manager Watson IoT at IBM, connected AI with the possibilities of industrial IoT, showing opportunities that arise when you take advantage of recent breakthroughs in IoT and AI. Everything everywhere is connected — from watches, cars or coffee machines to industrial robots and supply chains. A New Digital Festival Without Influencers? No Way! 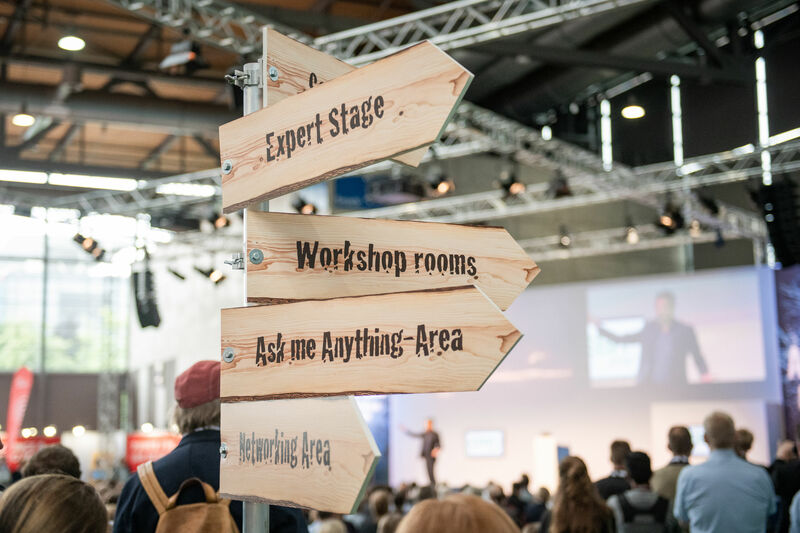 Another new addition at the new Cebit was a conference focusing on Influencer Marketing, Social Media and Networking – the CEBIT!signals. It brought together influencers, bloggers and digital creators who were joined by marketing and PR professionals. On two stages, attendees could listen to 50 speakers and participate in expert workshops on best practices, trends and challenges in Influencer Marketing. Instagram and YouTube and What We Can Learn From the U.S. In many of the speeches, Germany was compared to the U.S. and it was mentioned how the mentality in the two countries differs. In the U.S., a so-called “money mentality” is prevalent and it is accepted that content is sponsored or that the content creator is paid for a video. In Germany, this is still something many people look down on, even though “influencers are not kids filming videos in their basement”, as Robin Blase, YouTuber & CEO at Richtig Cool GmbH said. An interesting fact mentioned in one of the speeches was that the number of active influencers and the amount of generated sponsoring revenue are asymmetrically distributed among social media platforms. The biggest revenue from sponsored content is generated on Instagram and YouTube, even though more influencers are present on Facebook than on Youtube. Did you know that 80% of active Instagram users live outside the U.S.? That over 25 million businesses are active on the platform and that 80% of the accounts follow a business? And that 51% of them discover businesses and brands on Instagram? Sounds like a great oppurtinity for businesses, doesn’t it? Bottom line? Cebit is definitely not dead. It may still need some more adjustments and, of course, trust – but it is not dying, but rather evolving.